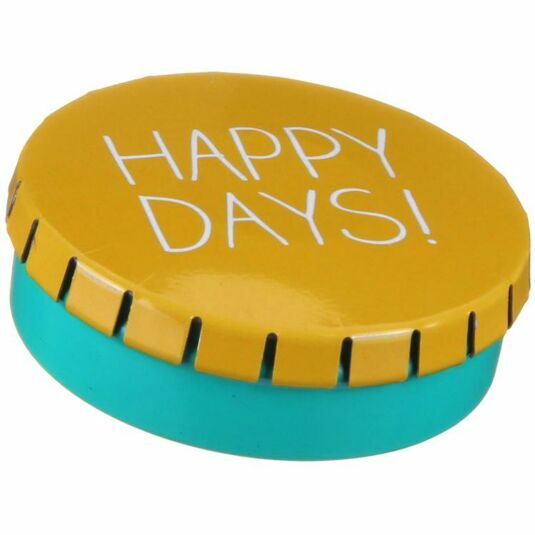 Add some cheer to your day with this bold little click clack tin from Happy Jackson. Available in six different designs this particular design reads Happy Days. 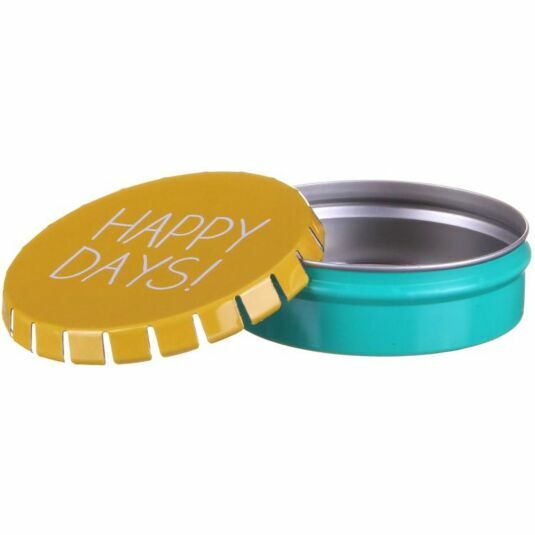 Perfect for holding sweets and treats, these tins can also be used to hold hair pins, needles, buttons or anything else you see fit! Small in size, they are a great accessory for any handbag, car, or even your office desk. 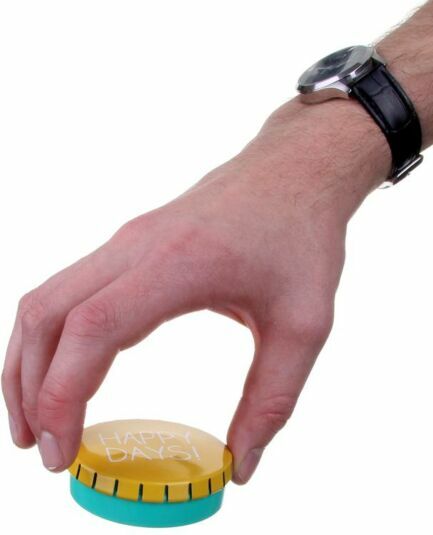 Simply press the top of the tin to open and squeeze the sides to close as the image above shows.